The new team was widely expected to take the Long Island Ducks name used by an Eastern Hockey League franchise; the more geographically expansive “New York Islanders” came largely as a surprise. The fledgling Islanders, who were soon nicknamed the “Isles” by the local newspapers, had an extra burden to pay in the form of a $4 million territorial fee to the nearby New York Rangers. The arrival of the Islanders effectively doomed the Raiders; they were forced to play in Madison Square Garden under onerous lease terms and were forced out of town in the middle of their second season. 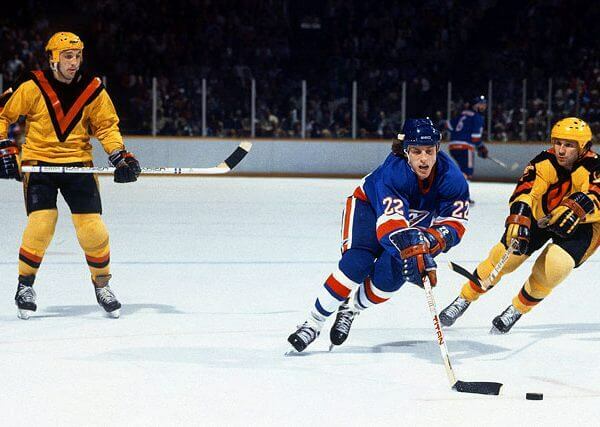 The 1982 Stanley Cup Finals was played between the Vancouver Canucks in their first Finals appearance and the defending champion New York Islanders, in their third Finals appearance. The Islanders would win the best-of-seven series four games to none, to win their third straight and third overall Stanley Cup. This is also the most recent time that a Stanley Cup Champion has three-peated and the first, and so far only, time that a U.S.-based team has won three straight Stanley Cups. It was also the first time a team from Western Canada contested the Finals since the Western Hockey League stopped challenging for the Stanley Cup and folded back in 1926. 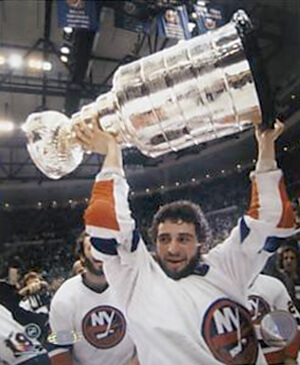 The 1983 Stanley Cup Finals NHL championship series was contested by the Edmonton Oilers in their first-ever Final series appearance and the defending champion New York Islanders, in their fourth, and fourth consecutive, Finals appearance. The Islanders would win the best-of-seven series four games to none, to win their fourth-straight and fourth-overall Stanley Cup. It was also the fourth straight Finals of post-1967 expansion teams, and the first involving a former World Hockey Association (WHA) team. 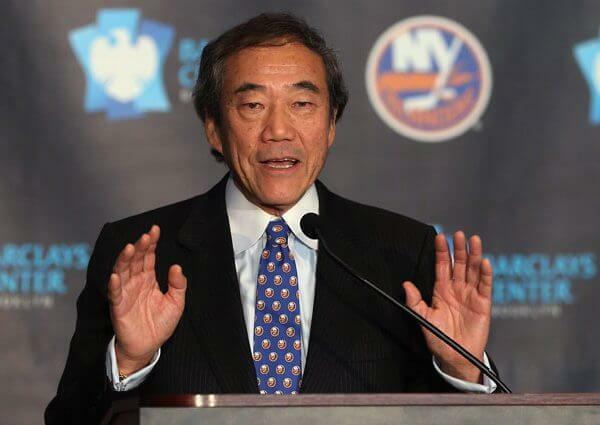 Charles Wang is the majority owner of the New York Islanders hockey franchise, of which he had become a part-owner in 2000. He later bought out the share of business partner Sanjay Kumar in 2004. Wang’s sometimes unorthodox decisions as owner have received a mixture of praise and criticism. Barclays Center is a multi-purpose indoor arena in Brooklyn, New York. It sits partly on a platform over the Metropolitan Transportation Authority–owned Vanderbilt Yards rail yard at Atlantic Avenue. It is part of a $4.9 billion sports arena, and future business and residential complex known as the Atlantic Yards. 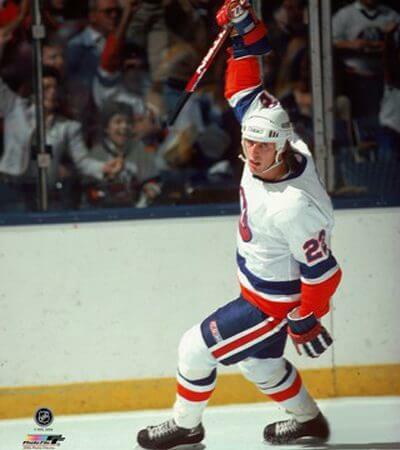 Beginning in 2015, it will also be the home of the New York Islanders of the National Hockey League. The New York Islanders are a professional ice hockey team based in New York City. They are members of the Metropolitan Division of the Eastern Conference of the National Hockey League (NHL). 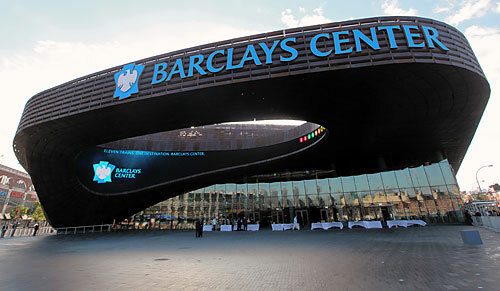 The team plays its home games at Barclays Center, located in the borough of Brooklyn. The Islanders are one of three NHL franchises in the New York metropolitan area, along with the New Jersey Devils and New York Rangers, and their primary geographic fan base resides on Long Island. Islanders – When New York’s expansion Major League Baseball franchise held a name-the-team contest in 1961, Islanders finished third behind Mets and Empires. 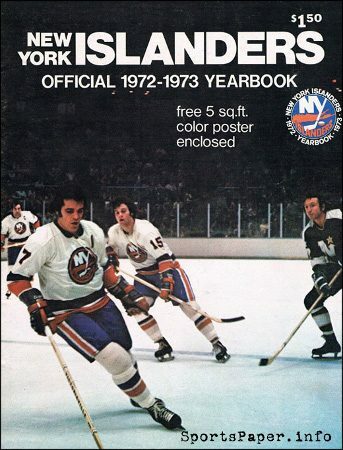 Eleven years later, Islanders was selected as the nickname for New York’s new hockey team, which originally played their home games on Long Island. 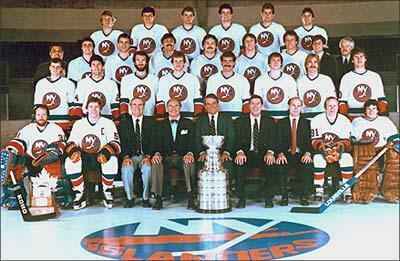 The franchise chose Islanders as its name, although many expected it to choose the Long Island Ducks, the name used by a team that played in the Eastern Hockey League from 1959 – 1973.
Who is the greatest New York Islanders?